When we look at the Gospels, there is one group of people who always seems to be causing problems: the Pharisees. No one reads the Bible and WANTS to be like the Pharisees. They were religious leaders of Jesus’s time, and they were legalistic, pompous, and called other people sinners without ever acknowledging their own sin. Jesus called them serpents, vipers, whitewashed tombs, and hypocrites! Again, no one wants to be like the Pharisees, but how many of us fall into the same legalistic trap that they did? 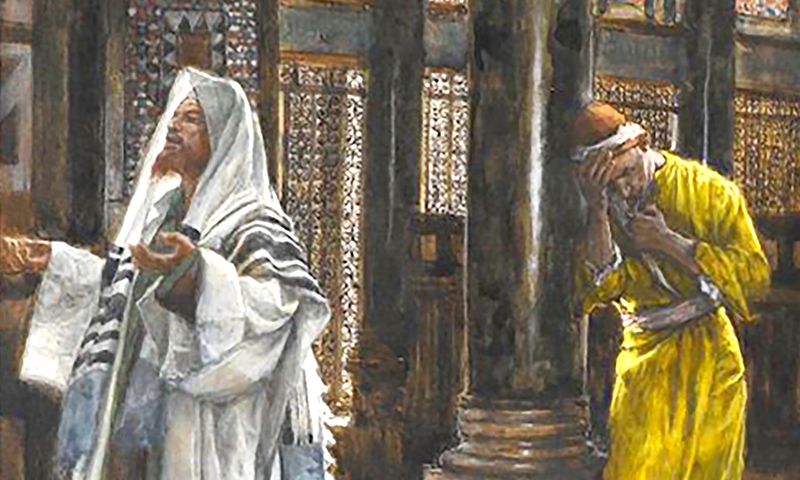 The Pharisees believed in what they called the Oral Torah. The written Torah was the Law given by God to Moses that we have in the Bible. The Oral Torah was the traditions and interpretations rabbis taught and added to the written Torah. You can probably see where this becomes an issue. They believed their traditions and interpretations were just as divinely inspired as God’s Word. For example, God said, “the seventh day is the sabbath of the Lord thy God: in it thou shalt not do any work” (Exodus 20:10), but the Oral tradition of the Pharisees taught that you shouldn’t even carry a stick on the Sabbath. Why? Because what if it touched the ground and drew a line in the sand? That could be considered plowing and plowing is work. This is legalism. Being so focused on the law and practicing its rules that you aren’t even aware of the heart behind it. In a sense, you worship that Law rather than the God who gave it. In this case, God presented the Sabbath as a day of rest for our benefit. The Pharisees turned something that was supposed to be a blessing into a burden. Do we do the same? In the New Testament, we are shown that God gives us grace because none of us are able to live up to the Law. “There is none righteous, no, not one” (Romans 3:10). But we often hold others to the standard of the Law, even though we ourselves could not meet that standard. Why do we judge non-believers for sinning? Don’t we sin? Don’t we all need the grace given through Jesus to overcome our sin? Shouldn’t grace be our message rather than condemnation? It is supposed to be Good News after all. We shouldn’t look down on people for their sin, but rather let their sin remind us of all the grace we have received for our own sin! At one point in Jesus’s ministry on Earth, He was having dinner with Matthew, a publican (a.k.a. a tax collector). “When the Pharisees saw it, they said unto his disciples, Why eateth your Master with publicans and sinners?” (Matthew 9:11). The Pharisees acted this way often. They’d look at other people and define them as sinners. They weren’t just people who had sinned; they were, in the Pharisees’ eyes, entirely defined by their sin. And the Pharisees never recognized or even admitted that they, too, had sinned. Jesus even told a story about a Pharisee who “stood and prayed thus with himself, God, I thank thee, that I am not as other men are, extortioners, unjust, adulterers, or even as this publican” (Luke 18:11). Do we do this? 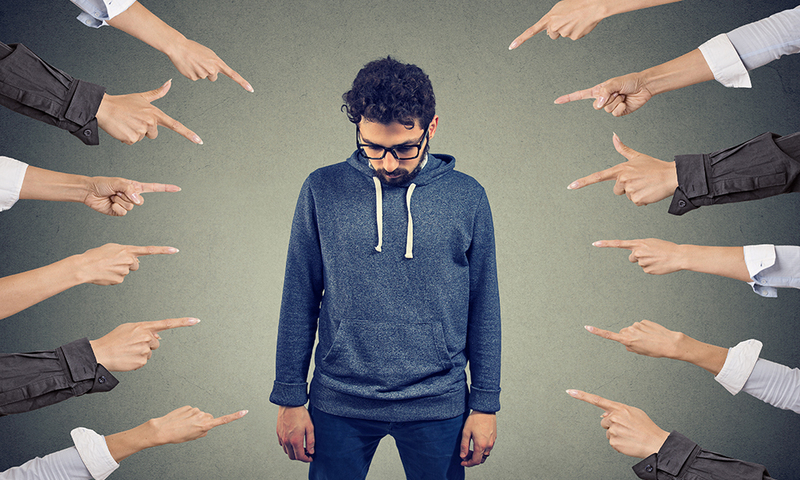 A lot of us who preach grace would like to say, “No,” but how often have you seen someone who’s an outright racist and say to yourself, “Well, at least I’m not a racist like them.” How often do we as Christians like to pick and choose certain sins and categorize them as worse than our own? I’ve been guilty of this. Why is a racist worse than a liar? Why is a person who struggles with a promiscuous lifestyle worse than someone who struggles with greed? We shouldn’t look down on people for their sin, but rather let their sin remind us of all the grace we have received for our own sin! Brother, we can even be legalistic about grace. It may seem incompatible, but I’ve been guilty of looking at people who deal with legalism and thinking I’m better than they are. Jesus said, “Beware ye of the leaven of the Pharisees, which is hypocrisy” (Luke 12:1). That hypocrisy is acting like something we are not. Acting like we are holy and more righteous than others when inwardly we are sinners in need of grace just like everyone else. As humans, we like our rituals. We like our traditions. But, just because something is traditional does not automatically make it more holy. As Americans, we believe we can “pull ourselves up by our own bootstraps.” This idea and religion of self-reliance is ingrained in our very culture. It’s no wonder we often try to apply this same attitude to our faith. The truth is we can’t do it ourselves. We can’t save ourselves. If we could, we wouldn’t need a savior. Our need of a savior is the defining aspect of Christianity. It’s why we follow Christ, because only Jesus can save us.